FOCCUS 4th Edition Questions in audio on Flash Drive in English and Spanish. Engaged couples use when responding to 1 to 151 relationship and attitude statements. Updates include an all new edition supporting critical areas of formation for couples preparing to enter into a lifelong marriage. 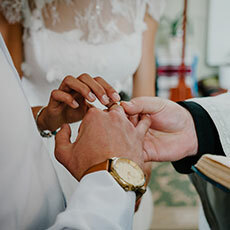 A new section, Couples with Children, developed especially for couples with children who are preparing for marriage for the first time. Includes the following editions in English - Catholic, Christian, General, Alternate Catholic and Alternate General and the following editions in Spanish - Catholic and General.